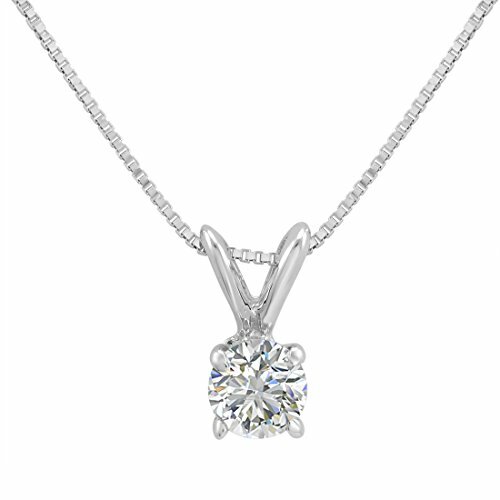 The elegant look of a dazzling solitaire diamond pendant is a jewelry essential in every women's collection. A fiery round cut diamond is securely prong set onto a lustrous 14K yellow gold basket setting. 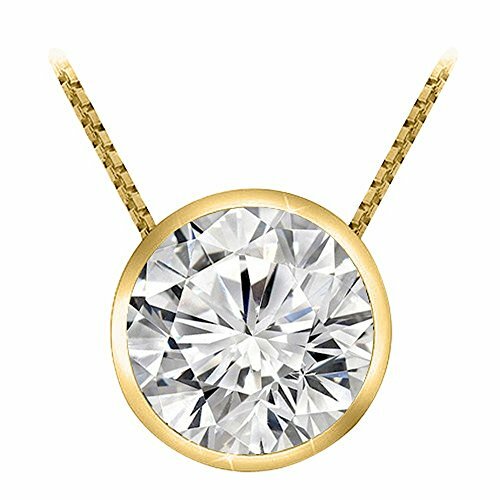 The sparkling round diamond weighs 1/5 carat and hangs in pure elegance on an 18 inch chain also crafted in 14K yellow gold. The item comes with an AGS (American Gem Society) Laboratory Evaluation Report certifying diamond quality. 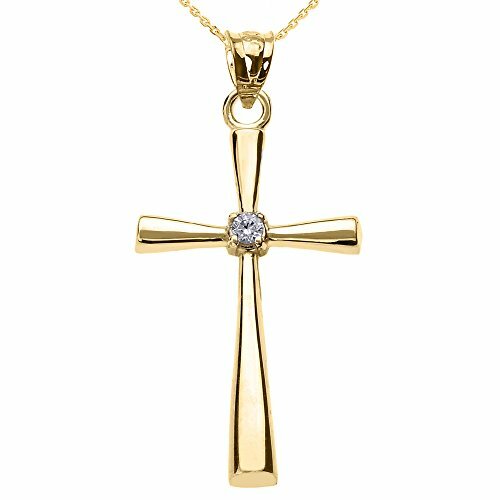 Religious Jewelry by FDJ Solitaire Diamond Cross Pendant Necklace in 14k Yellow Gold 20"
This solitaire diamond cross necklace is an impressive handcrafted jewelry polished to perfection. Especially handmade for the faithful and the fashionable, this 14k yellow gold cross pendant exhibits modern religious jewelry design at its finest. 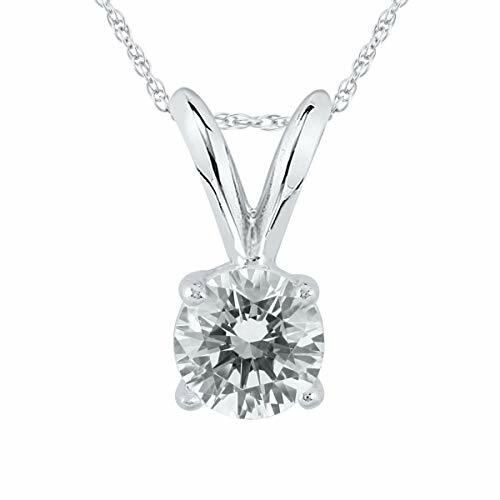 The elegant look of a dazzling solitaire diamond pendant is a jewelry essential in every women's jewelry collection. A fiery round cut diamond is securely prong set onto a lustrous 14K white gold basket setting. 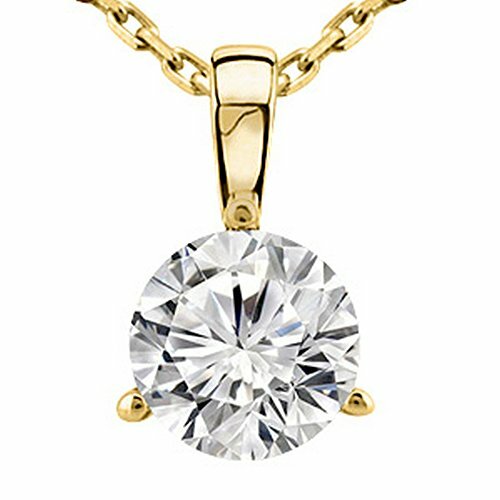 The sparkling round diamond weighs 1/2 carat and is suspended in pure elegance on an 18 inch chain. The item comes with a certificate from AGS (American Gem Society) Laboratory. 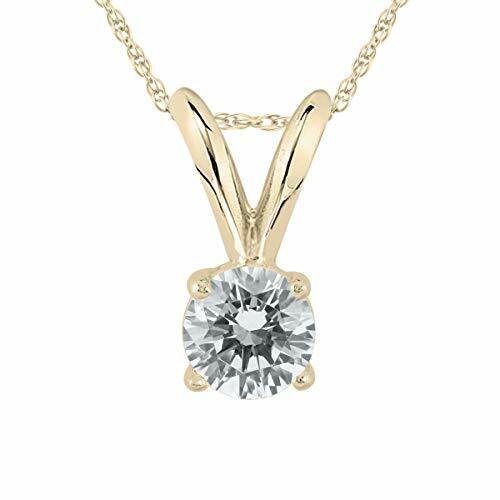 The elegant look of a dazzling solitaire diamond pendant is an essential in every jewelry collection. A fiery round cut diamond is securely prong set onto a lustrous 14K white gold basket setting. 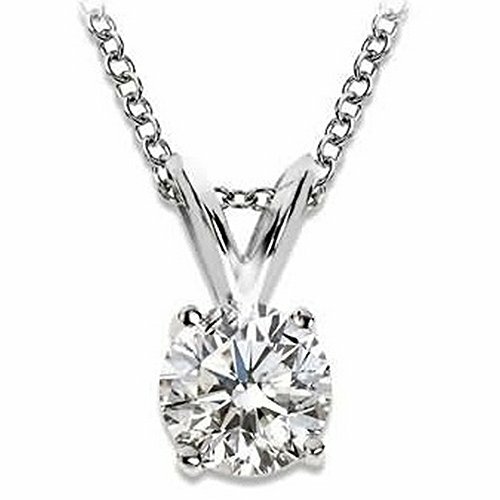 The sparkling round diamond weighs 1/4 carat and is suspended in pure elegance on an 18 inch chain also crafted in 14K white gold. The item comes with an AGS (American Gem Society) Laboratory evaluation report certifying diamond quality. The elegant look of a dazzling solitaire diamond pendant is an essential in every jewelry collection. An AGS certified fiery round cut diamond is securely prong set onto a lustrous 14K yellow gold basket setting. 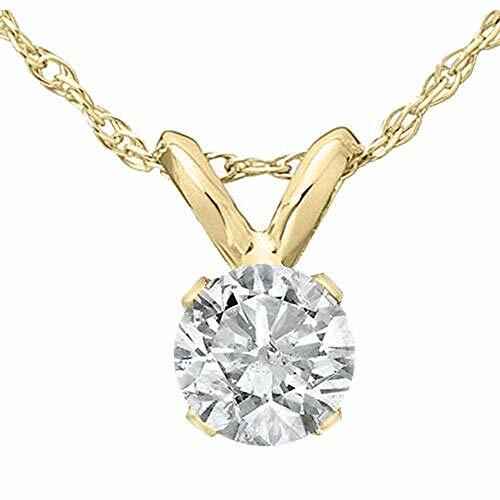 The sparkling round diamond weighs 1/4 carat and is suspended in pure elegance on an 18 inch chain also crafted in 14K yellow gold. The item comes with an AGS (American Gem Society) Laboratory evaluation report certifying diamond quality. 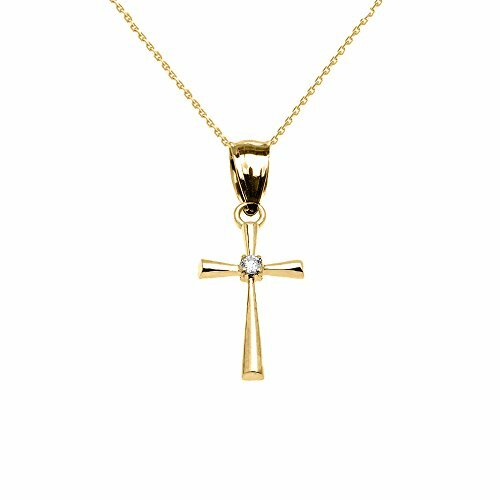 Religious Jewelry by FDJ Polished 14k Yellow Gold Solitaire Diamond Cross Pendant Necklace, 16"
This solitaire diamond cross pendant necklace is an impressive handcrafted jewelry polished to perfection. 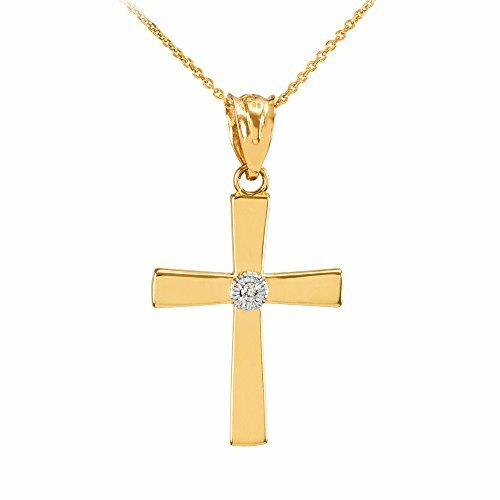 Especially handmade for the faithful and the fashionable, this 14k yellow gold cross pendant necklace exhibits modern religious jewelry design at its finest. 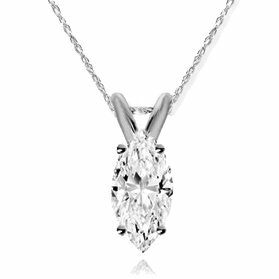 This stunning women's solitaire pendant features one round brilliant cut natural diamond. The diamond is prong set in solid 14k yellow gold. 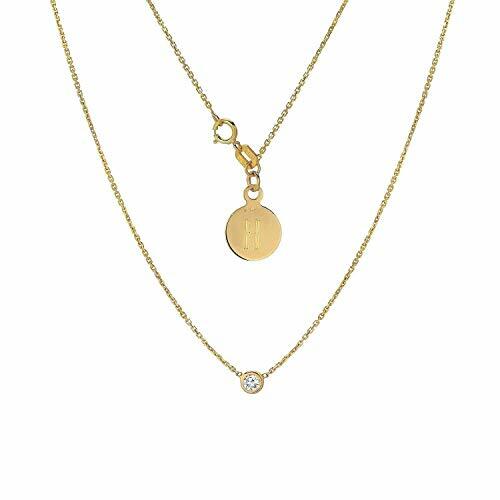 An 18" 14k yellow gold clasp lock chain is included. 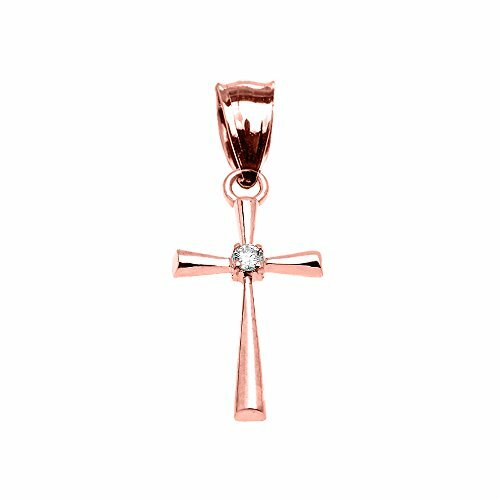 This 14k rose gold diamond dainty cross Pendant is an impressive handcrafted jewelry polished to perfection by our best jewelry makers.This solid gold Pendant showcases 1 solitaire white diamond in exquisite setting. 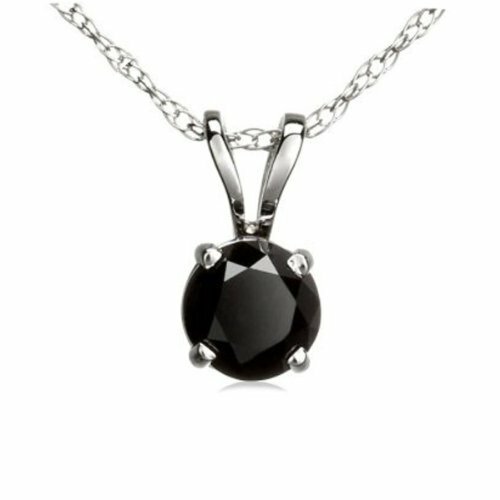 The elegant look of a dazzling solitaire diamond pendant is an essential in every jewelry collection. A fiery round cut diamond is securely prong set onto a lustrous 14K white gold basket setting. 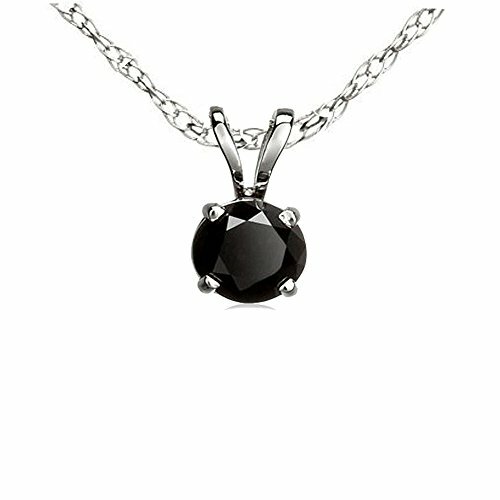 The sparkling round diamond weighs 1/3 carat and is suspended in pure elegance on an 18 inch chain. The item comes with an AGS (American Gem Society) Laboratory evaluation report certifying diamond quality. 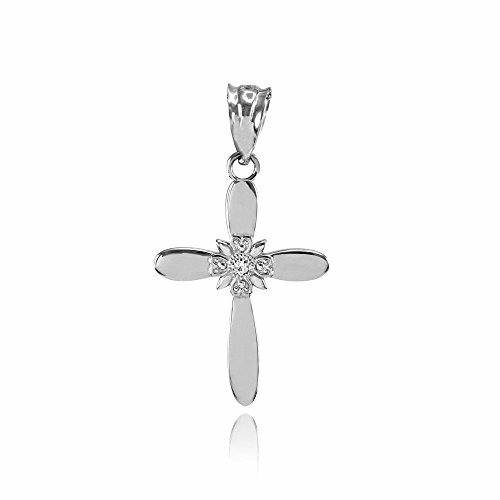 Religious Jewelry by FDJ 14k Yellow Gold Solitaire Diamond Cross Delicate Pendant Necklace (Extra Small), 16"
This 14k yellow gold diamond dainty cross Pendant Necklace is an impressive handcrafted jewelry polished to perfection by our best jewelry makers.This solid gold Pendant Necklace showcases 1 solitaire white diamond in exquisite setting.